Very nice park. Access off of Highway 5 was via a few surface streets, but easily done. Safeway grocery store within walking distance and gas stations were down the street. Spaces were not very wide, but there was a grass strip between each space. The landscaping was very well maintained. Laundry facilities and bathrooms were clean. I would definitely go there again if I was in the area. Beautiful camp, actually looks like the pictures on the website. Green grass, shade trees, and landscaping at all sites. We will return, owner/managers very friendly and helpful. Clean, well kept, Spaces a little narrow but not a real problem. Great Staff, come by site each morning to pick up and drop off propane. A good location for access to activities in Salem. Stayed a month during snow and freeze of 2017 [14-15 degrees]. Water well heated, no freezing, electric dependable. Lighting is good, quite park. Will stay again every time in Salem, if available. Well arranged, maintained,quiet, clean park. Staff welcoming and helpful. As with most parks there are extended stay guests, but these do not have stuff everywhere. Very good experience. We would return if in the area. 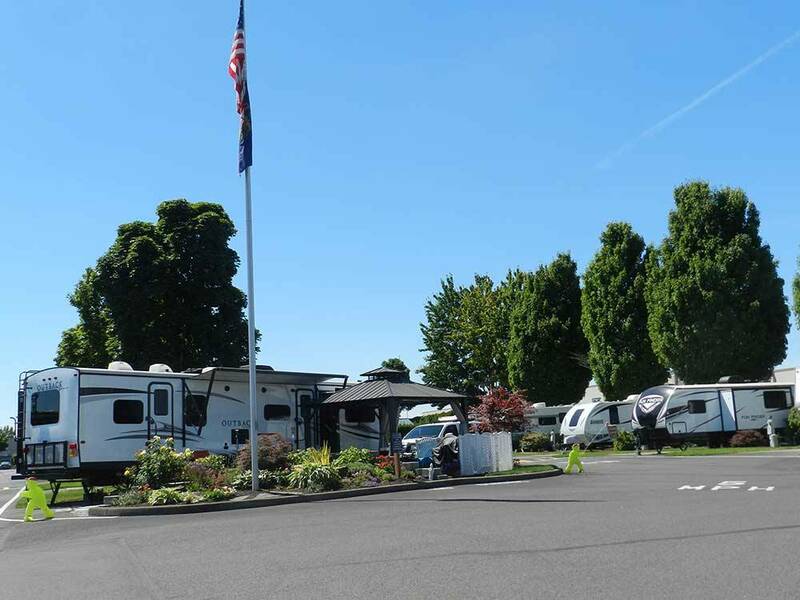 One of the top 3 RV Parks on my trip around the US and Canada. Whoever laid out this park and then built it did a first class job. The only downside is poor "curbside appeal"...you don't get a warm and fuzzy feeling when you see the entrance from the entrance road...it is located amid a Safeway and other commercial enterprises. However, once you get through the front gate, everything changes. There is a wide and roomy check-in parking area, a large clean and neat office building, with a smiling and attractive lady greeting and welcoming you by name! I parked in a 50amp pull-through dragging a Jeep (#103), and there was plenty of room in front and behind still hooked up...no issues there... The lot was fully paved with concrete, level, two locations for sewerage, with easy plug-in for electric and water. $42 including taxes and the with GS Discount per night...a touch pricey...but, worth it. The entire place is immaculately clean and neat. The entire place is meticulously landscaped with beautiful small trees, plants, flowers and well-groomed grass. The Park is quiet through the night. A clear view of the southern sky was no problem for my satellite TV receiver. 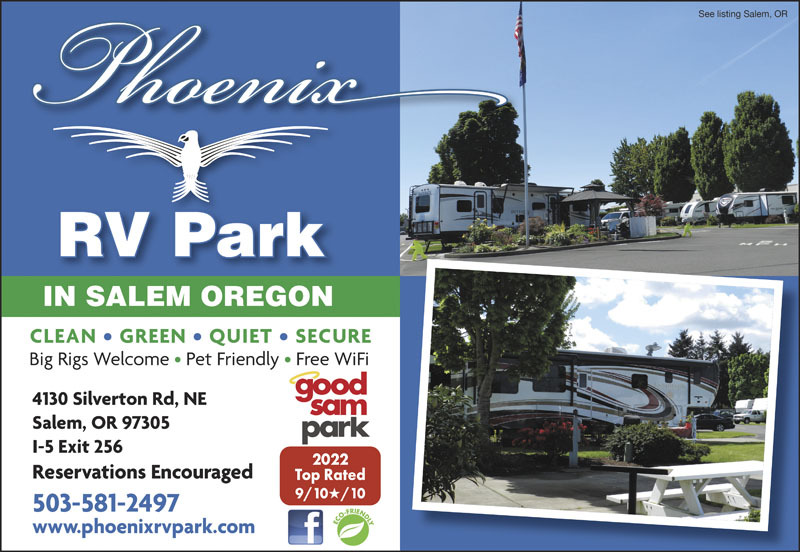 The park is located about 1.5 miles from the closest I5 exit, but no issues navigating the route. Pay attention to the [To I5] signs leaving the park back to I5. I made an error and turned the wrong way, but, it was still no problem getting back onto I5 going southbound. 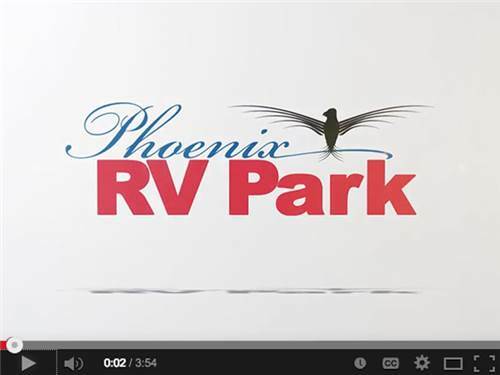 I recommend this RV Park.